Your child has become a published author in our school's very own book. 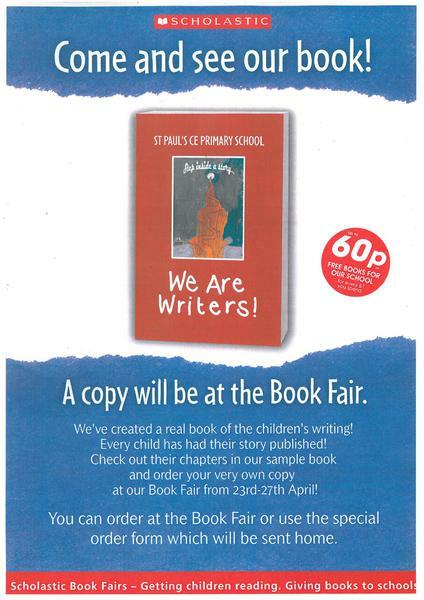 To order your copy and help raise funds for our school, visit our book fair between Monday 23rd - Friday 27th April have a look through our sample copy and the fill out an order form. The book costs £5.99 and the school receives 60% commission towards new books for the school on everything we sell at the book fair.